16mm or 5/8 FOE. Fold Over Elastic is supper soft and stretchy available in Australia. 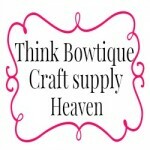 We can help with your headband making supplies, lingerie or cloth nappies. Colours with a number beside are a match to our grosgrain and satin ribbons and can be supplied in bulk quantities. 50 metre rolls will be bagged in a zip lock bag.